Could a pick-up ever beat a porker? The answer's surprising! Ever thought a pick-up could beat a Porsche to a destination? Well, I can truthfully say that our L200 has achieved that very feat. It transpired that hold-ups further on held the key. James had hoped to outwit them by taking an alternative route, but unfortunately that only made matters worse, whereas I'd crawled through the jams, obeying the sat nav to the letter. Those delays did, however, give me longer to relish my first drive of our new long-termer. It may be a pick-up, but the comfortable, stylish interior plus smooth ride and handling of the new model don't half belie that fact. 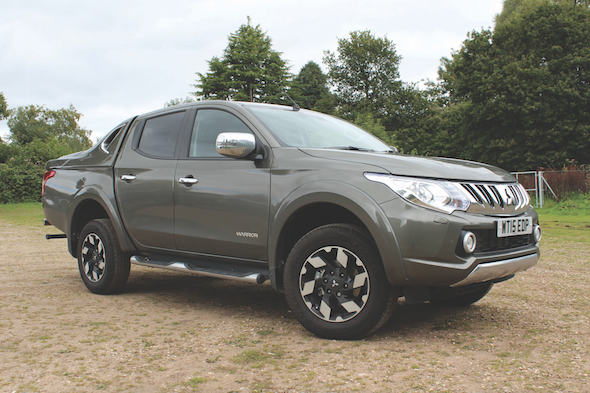 Its exterior, meanwhile, has lost none of the L200's no- nonsense approach. Not in a threatening manner, mind, but of the self-assured 'We're here to do a job and we're going to do it well' type. The Warrior's fuel consumption gave no cause for concern either – 38mpg when I checked at one point – perfectly respectable. Trying to park it where I live is the only real downside. Tight squeeze doesn't come into it. But that's the fault of '80s developers, not Mitsubishi.